At the end of every year many of us curse ourselves for leaving things to the very last minute. 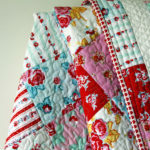 We then spend our days furiously sewing instead of taking our time to enjoy our projects. Well, I declare this year will be different (yes, yes, I know I say that every year, but you can’t blame a girl for trying). Anyhow, in the interest of making 2017 a more enjoyable year, we will be giving you plenty of notice to get your holiday projects ready on time. 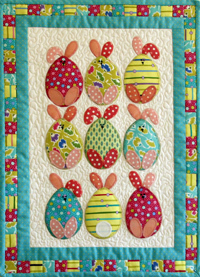 The first reminder for this year is our most fabulous Easter Egg Bunnies Wall Hanging. 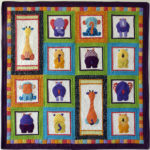 This happy little project uses simple fusible applique with a blanket stitch edging and would make the most perfect gift or a sweet indulgence for yourself. 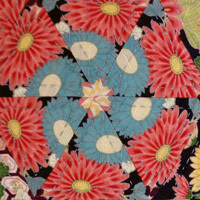 Download the pattern today and you will have almost three months of enjoyable stitching.